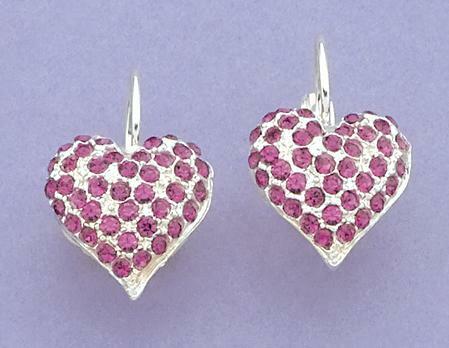 Pink Crystal Heart pierced Earrings in silver setting on Euro wire. Also available in Clear (EA261S) and Black (EA261B). 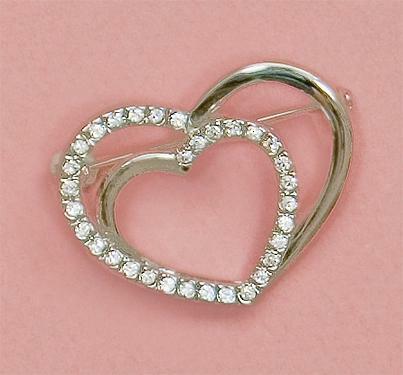 Large CZ Post Earrings, 2 ct. CZ each (4 crt. wt. total) in Gold or Silver finish setting with optional Gift Box.